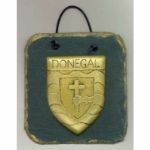 Home > Irish Celtic Clocks. 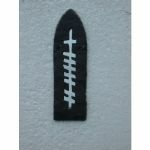 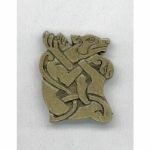 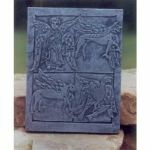 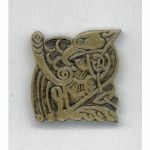 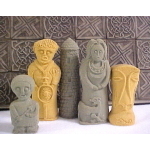 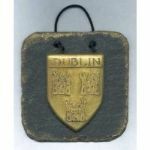 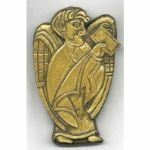 more products by: Irish Celtic Clocks. 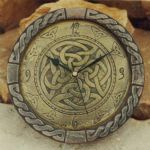 The Killyliss Pewter Wall Clock is decorated using triangular knotwork patterns as a recurring theme. 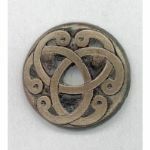 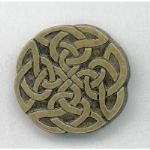 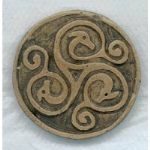 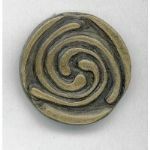 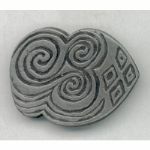 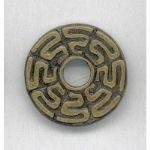 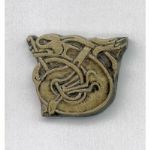 The early Celts believed that the number three had magical powers and considered the three sided knot as representing the endless cycle of birth, life and death. 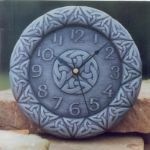 This clock is sculpted and coldcast in studio by Colm Mc Cann. 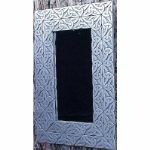 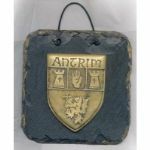 It is only available in a pewter finish and is designed to compliment the pewter knotwork mirror also available in this shop ( see celtic designed mirrors section) . 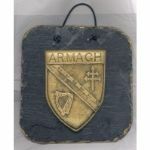 This Irish wall clock is 195mm x 35mm in size. 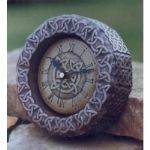 This clock is fitted with a high quality quartz movement which runs on one AA battery. 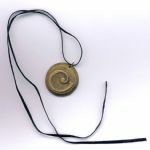 Depending on the quality of the cell used the clock should run for up to one year before the cell needs to be replaced. 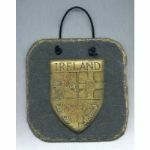 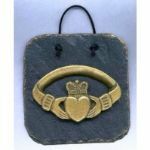 This Irish gift makes a lovely house warming gift or Irish wedding present.